First of all, this is not a regular kind of article that you will find everyday on a tech or gadget website. But we can’t just help it. Blame us for that. This is October 5th, three years have passed since Steve Jobs left us. This post is going to get a lot personal, and I will just talk about the top 5 lessons that you can learn from Steve Jobs’ life. Probably you have used this, but it is actually a lesson from Steve Jobs that we should remember. When Steve Jobs prepared to battle the piracy, he asked the record companies to sell all their songs at $1 and when some of them asked how it was possible and remarked that some songs cost a lot of money, he just said,”It’s too complicated.” It was his risk taking ability that made iTunes a hit and also, he had take a huge amount of risk through his entire lifetime, starting from the 2nd version of Mac to the modern iPods and iPhones. Steve Jobs lived in the present, he had gone through lots of troubles. He was kicked out of Apple, literally. But he had seen the future of what Apple could be and so he sold all his shares of Apple, except one and it turned out to be a U-turn in his life and this lead to the invention of iPods, iPhones and iPads. Now, Apple dominates the smartphone market with iPhones, which could not have been possible without the future thinking of Steve Jobs. Steve Jobs was introduced as a quick learner to the calligraphy teacher. And the calligraphy had a huge impact on Macintosh and modern computers. According to Steve Jobs, he was horrified with the typeset that computers had those days and he was in a mission to improve it, now we can see the results. After working in HP, he also realized that he wanted to make Apple different from other companies and these lessons during his job made Apple a far better than others. Travelling broadens our mind, which is an essential thing for any entrepreneur and Steve Jobs traveled to India to ask himself and find out what he really wanted to do. This thing helped him to interact with great people, especially Steve Wosniak, who became his end and help him get ahead with his dream. Steve Jobs at the Stanford University, most of you may have heard this speech. Here he talks about death, his life and what people should do in case of selecting his job. And I would like to put it down below. Who knows? If you haven’t heard this or read those lines before, may be you can be the next “iGenius”. Share your thoughts, memories and feelings about Steve Jobs on Apple’s website. 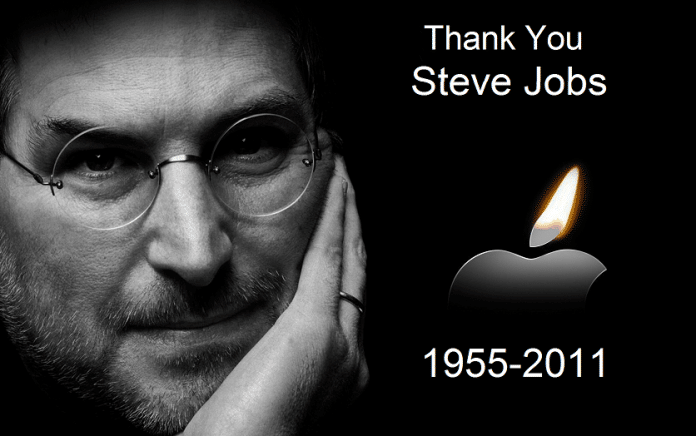 You can visit this link to Apple’s page or directly mail at rememberingsteve@apple.com. Your response will be showcased publicly on the page.